Are you planning an active vacation? Iceland is a natural amusement park and the perfect place to go to on a running holiday. More and more people bring their running shoes along when visiting a new country. Active holidays are becoming very popular worldwide and Iceland is no exception. Experiencing the Icelandic nature in your trail running shoes is a great way to escape your daily stress. It is also a great way to take your running to a new level and explore new routes. And a guided city running tour is the perfect way to combine sightseeing in a new city and enjoying a workout. In Reykjavik the main sights of the city center can easily be explored in a running tour lasting one hour. Here are some of the options for guided running tours and running holiday packages to Iceland. Arctic Running offers a whole range of tours, both supported trail running tours and guided city tours. Day tours on offer from Reykjavik include e.g. tours to the Blue Lagoon, Mt. Esja and Smokey Valley. The longer tours are generally 2-4 days and take you to some of Iceland’s most beautiful places, Laugavegur, Thorsmork and the Golden Circle. Thule Trails offers running tours in Iceland, Greenland and in the Faroe Islands. They have a selection of running tours, from demanding runs with 20 – 35 km per day or moderate runs with 5 – 10km per day. The company offers e.g. a 7 day running tour around the highland of Iceland, trail running and sailing in the West Fjords and a heli running tour which is a day tour from Reykjavik. Wanderlust offers both day tours in Reykjavik, and a longer trail tour. 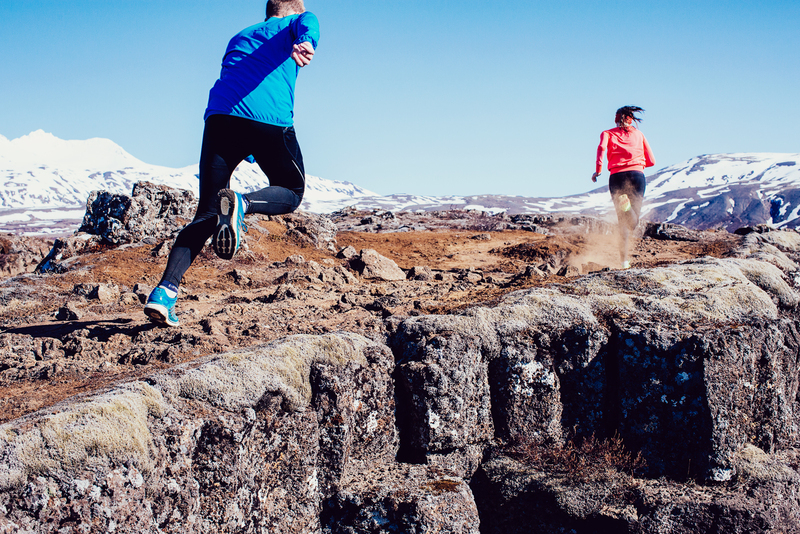 The day tour takes you around Reykjavik where you can choose between a shorter run of 9 km and a longer run of 17 – 20 km. The company also offers a three day trail running tour with daily run of 15 to 30 km, surrounded by lava fields, volcanos, glaciers, mountains, and geothermal areas. All Iceland offers various sports holidays in Iceland, including packages to the Reykjavík Marathon, Midnight Sun Run and the Laugavegur Ultra Marathon. The company also offers guided trail running tours on the popular Laugavegur route and around Dettifoss in north Iceland. Responsible Travel offers a running holiday to the Myvatn Marathon in north Iceland. The race is held on June 4th and it is a very scenic race. Myvatn is located in north Iceland and is one of the most beautiful places in Iceland with a very diverse environment. The race has a half marathon and a 10K race as well as a full marathon. Yes i agree with you if anybody planning an active vacation? Iceland is a natural amusement park and the perfect place to go to on a running holiday.